Amanda Stevens is an author, speaker and business advisor. As well as being a renowned thought leader on the subjects of marketing, the customer experience and the future of consumers, she has a passion for small business. So much so that in her spare time she buys, renovates and sells businesses the way other people do with houses! Amanda founded her first marketing agency in 1995, at the ‘ripe old age’ of 21. After growing it into a multi-million dollar operation, she sold to a multinational recruitment company, freeing up her time to help guide other businesses. 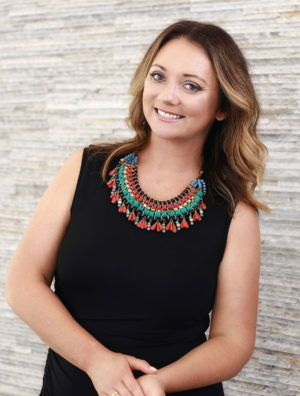 As a speaker and consultant, Amanda combines current consumer insights with fascinating research into buying behaviour, delivering powerful strategies to help business owners form better connections with their customers. She is also the author of five books on sales and marketing, including her best-seller ‘Turning Customers into Advocates’. Amanda has a double degree in consumer psychology and marketing. While she has worked as a consultant for large brands including Lend Lease, Microsoft, Procter and Gamble and even the Australian Liberal Party, she gets a real kick out of working with startups and fast-growing small businesses. According to Amanda, there’s never been more opportunity for small business to compete with big business and scale quickly. She says that brands and organisations which combine the best of ‘high tech’ (automation, artificial intelligence and virtual reality) with the best of ‘high touch’ (personalised, human experiences) will win the battle for relevance in the next 3-5 years. Amanda is a former Young Australian of the Year (Career Achievement in NSW). In March 2018, she was named the Keynote Speaker of the Year by the Professional Speakers Association of Australia.